At last this great brand is available in South Africa. They have been called many things but one of them is that Gurkha is the Rolls Royce of Cigars. 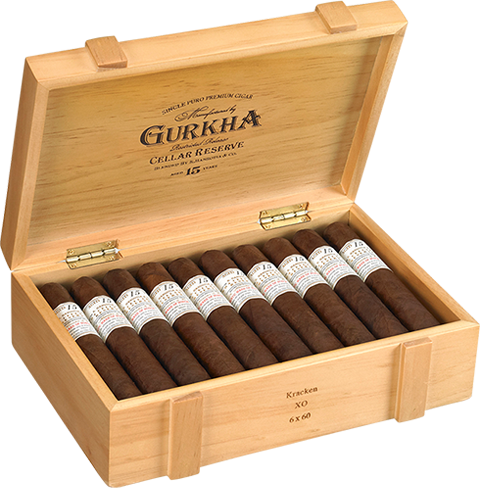 Gurkha's lines of cigars that are available in South Africa can be seen below. Connecticut/Ecuadorian shade wrapper, a Habano/Honduran binder that is perfectly complimented by Nicaraguan and Dominican fillers. 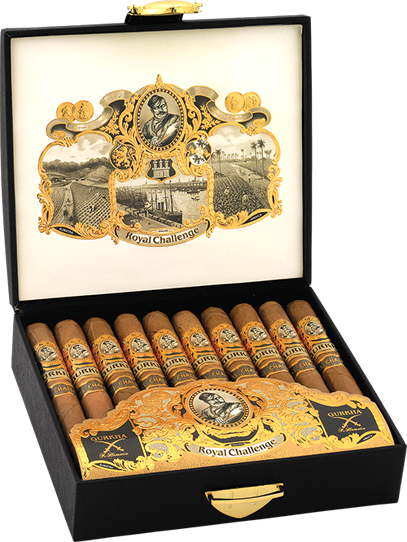 This delectable cigar is worthy of the Royal Challenge. 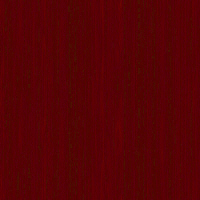 and Corojo, Colombian filler that is sure to pleasure your senses. 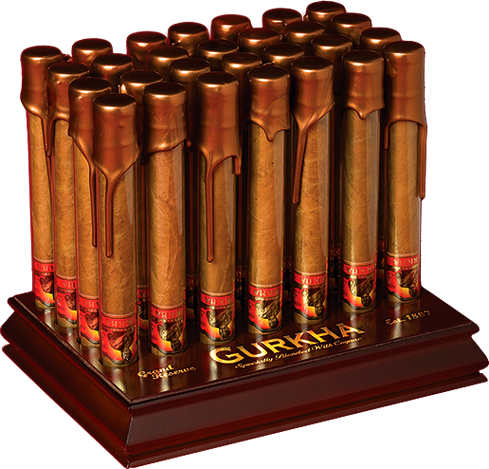 to bring you the dignified Gurkha 125th Anniversary Edition cigar. Using a carefully chosen blend of selected tobaccos, the 125th Anniversary blend features an oily Cubra, Habano wrapper, accompanied by an Ecuadorian, Habano binder and a complex combination of Nicaraguan, Brazilian and Dominican fillers. This intriguing medium bodied cigar encompasses a very smooth and complex taste profile, with flavorful notes of rich tobacco and subtle hints of sweet spice, vanilla and chestnut. The flagship cigar of Gurkha. The best selling cognac-infused cigar in the industry. A silky 5 year Connecticut wrapper with an aged 3-year binder and filler, packaged in a gorgeous glass tube. 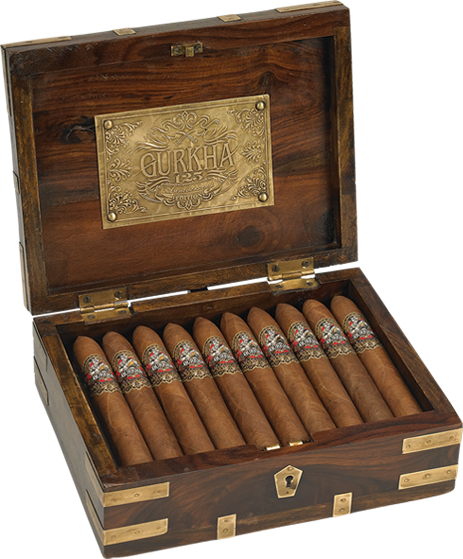 The Gurkha Ghost is a sleek and alluring cigar that should make an appearance in anyones humidor. The Ghost blend showcases a dark Brazilian, Arapiraka Maduro wrapper, complemented by an aged Criollo 98 binder and carefully selected Dominican and Nicaraguan fillers. Ghost is a rich, medium bodied cigar with a multi-layered flavor profile providing sweet and earthy undertones tones with lingering flavors of cocoa and cinnamon. The vintage Cellar Reserve uses the finest quality 15 year-old aged tobacco, comprised of an oily Criollo 1998 wrapper, that combines an aged Dominican, Olor binder with a 15-year old Dominican filler. Housed in unique wooden boxes that aesthetically evoke a maturing wine barrel, the Cellar Reserve is a delicious medium to full-bodied cigar that is full of flavor and complexity. We will review and rate them all within the coming weeks! Exciting times indeed!!! I have seen al these cigars in real life already and I kid you not, the packaging as well as presentation is second to none. They are not cheap cigars, so start saving your money for these! They are only available through retail so you won't be able to buy them online. If you need contact details of where to find these cigars then contact us for more details. Keep coming back during the next few weeks to read the reviews.